Tokyo is the capital of Japan and one of the 47 prefectures of the country. 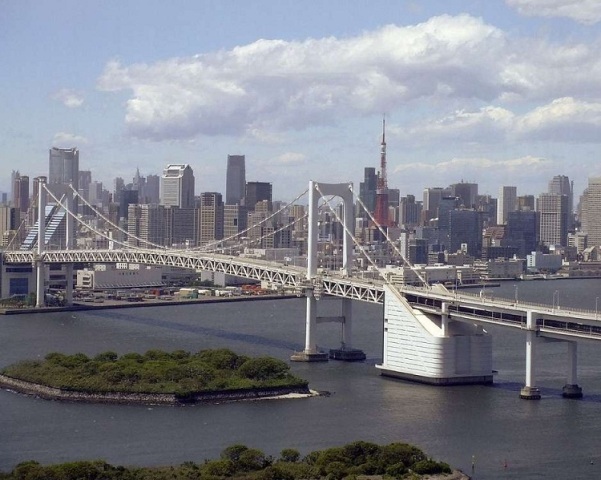 Check out this article and find some interesting & fun facts about Tokyo. One of the busiest and the most commercial cities in the world, Tokyo is a prime tourist destination and is located in the heart of Japan. Tokyo, the capital of Japan, is one of the 47 prefectures of the country. Previously known as Edo, Tokyo was given its name in 1867. The mainland portion of Tokyo positions on the northwest of Tokyo Bay and stands girdled by the Chiba Prefecture borders to the east, Yamanashi to the west, Kanagawa to the south and Saitama to the north. One of the most developed areas in Japan; the tapestry of Tokyo laces itself with soaring skyscrapers, cosmopolitan industries, outsized shopping arcades and extravagant bars and lounges. Nevertheless, amid its modern flourishes, the city also espouses its time-honored tradition, in the form of its shrines, ryokans (guesthouses) and many museums. Think you know Tokyo well? How about going through this article to know more fun and interesting facts about Tokyo. Read on. Tokyo is the seat of the Japanese government, home of the Emperor of Japan and is the capital of the country. Earlier, Tokyo was a small fishing village named ‘Edo’, meaning estuary. Later, when it became the imperial capital of Japan, in 1868, its name was changed to Tokyo. The name ‘Tokyo’ literally translates to ‘Eastern Capital’. The 23 wards of Tokyo collectively constitute the ‘City of Tokyo’, which is one of the largest cities in the world. Tokyo is one of the three world finance ‘command centers’, apart from New York and London. The Greater Tokyo Area that includes Tokyo, Chiba, Kanagawa, and Saitama, is the most densely populated metropolitan area in the world. The ‘Curse of Roppingi Hills’ in Tokyo, is one of the most talked about curses around the world. It is said that the building, Roppingi Hills, opened in 2003, and since then, a child would die under bizarre circumstances every year. Today, the building is deserted. According to a 2010 consensus, five of the 25 world’s greatest amusement parks are located in and around Tokyo. It is believed that there are at least one or two houses on every street that have a grisly past or a haunted mansion associated with it. Legend has it, that the best place to spot a ghost is at Komine Tunnel, where accidents are a regular occurrence and a girl in red is seen drifting from one end to another. There are many remote islands in Tokyo, which extend as far as 1850 km from central Tokyo. Tokyo has the largest metropolitan gross domestic product (GDP) in the whole world, for a city. Tokyo is rated as the 3rd most livable city in the world by an International magazine. Tokyo became the capital city of Japan in 1603 and still continues to be the capital of the country. The heart of Tokyo and Tokyo’s army and economy were centrally hit post the Operation held at ‘Pearl Harbor’ in 1941. Tokyo is home to many of the world's most developed investment banks and insurance companies. Tokyo is home to some of the best themed restaurants and is home to one of the most expensive restaurants in the world called ‘Aragawa’ that specializes in Kobe Beef. A meal for one here would 35,000 Yen. Tokyo serves as the nucleus of Japan's transportation, broadcasting and publishing industries. Tokyo was stuck by many historical tragedies, including the 1923 Kanto Earthquake, widespread devastation during World War II, the economic ‘bubble burst’ of 1989 and the 1995 nerve gas attack. The Economist Intelligence Unit rated Tokyo as the most costly city in the whole world, for a period of 14 years, until 2006. Popular Hollywood flicks like ‘The Fast and the Furious’, ‘Kill Bill’ and ‘Lost in Translation’ have been filmed in Tokyo. In 2009, Tokyo was named the third Most Liveable City and the World’s Most Livable Megalopolis by the magazine Monocle. In 2012 Tokyo was named the most expensive city for expatriates, according to the Mercer and Economist Intelligence Unit cost-of-living surveys. Tokyo, by far, has the most Michelin stars restaurants of any city in the world.